Air2, LLC has recently donated $10,000 to support disaster relief efforts in Texas and Florida following two devastating hurricanes that hit the southern US a few weeks ago. Out of the $10,000, half is earmarked for the Hurricane Harvey fund and the remaining $5,000 will go toward Hurricane Irma relief, all of which will be facilitated through the charitable organization Operation USA. Operation USA is a Four Star rated 501(c)3 charitable organization that is small but agile and effective when delivering relief to children and families in the wake of disasters. Their catch phrase is “Give and it Gets There.” They also wisely employ the “Smart Aid” approach when delivering assistance to critical areas of need after a disaster strikes. They recognize local organizations have firsthand knowledge of the needs of their own communities, so they do not compete with other organizations if they are better equipped to aid in the recovery process. At the same time, they become part of the fabric of the communities they serve and encourage their volunteers to uncover new ways to connect. An example is, when a devastating flood hit the Detroit area in 2014, Operation USA volunteers hosted a Thanksgiving Dinner for hundreds of victims. The effects of Hurricanes Harvey and Irma will reverberate for years to come, and communities will need ongoing assistance in order to help individuals and families rebuild their lives and livelihoods. It’s not just about utility transmission and distribution but also helping to rebuild lives. This PLH Group company also donated an additional $5,000 to Operation USA Hurricane Irma fund. This is why Air2 earmarked a portion of their donation to support the ongoing efforts to rebuild these communities – they are committed for the long haul, both philanthropically and through storm restoration. 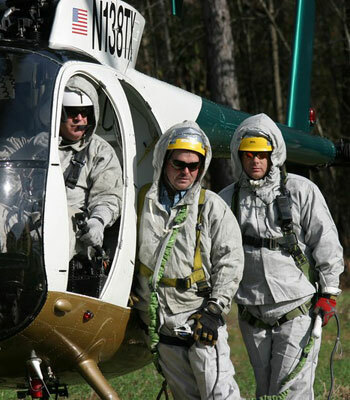 Even though the effort to hit back hard after these two storms proved challenging at times, Air2’s transmission construction and maintenance linemen always keep ‘Safety as a Value’ at the forefront, regardless of the situation at hand. Air2 donated $10,000 overall to aid families in need of ongoing Harvey & Irma recovery assistance.